These are one of my favorites. I remember my grandma baking these all the time, especially during the week of VBS , and hoping I would see them as the cookie try was passed around! 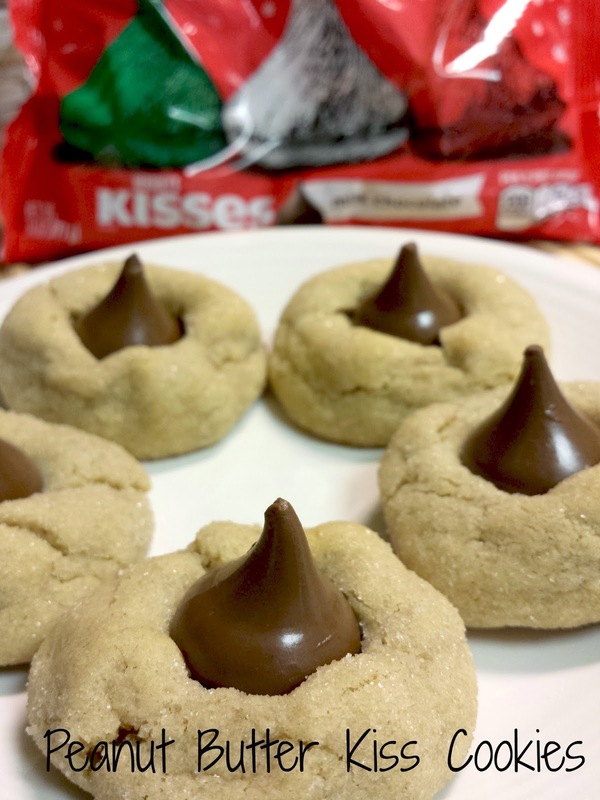 This makes a great cookie for any occasion, but with the different selection of Hershey Kisses, you can make this for Christmas time as well. These go fast in our house. Everything goes fast in our house!! 4. Bake 8 to 10 minutes or until lightly browned. Immediately press a chocolate into center of each cookie; cookie will crack around edges. Remove from cookie sheet to wire rack. Cool completely. Makes about 48 cookies.